For the last three seasons, Texas A&M has started the season on fire. They started the season against a team most expected the Aggies to lost to, but Texas A&M pulled off the upset. In 2014, it was South Carolina. The following year it was Arizona State, and last year it was UCLA. Each time they rode that wave to start the season undefeated (5-0, 5-0, and 6-0). Each time they ended finishing the season with an 8-5 record and out of the top 25. An 8-5 record is not bad, but it is certainly not why donors raised hundreds of millions of dollars to renovate Kyle Field. 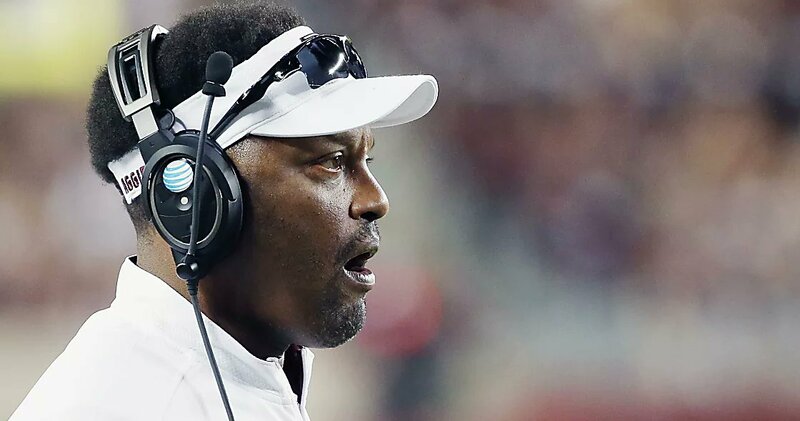 It is also not why head coach Kevin Sumlin gets paid $5 million a season. 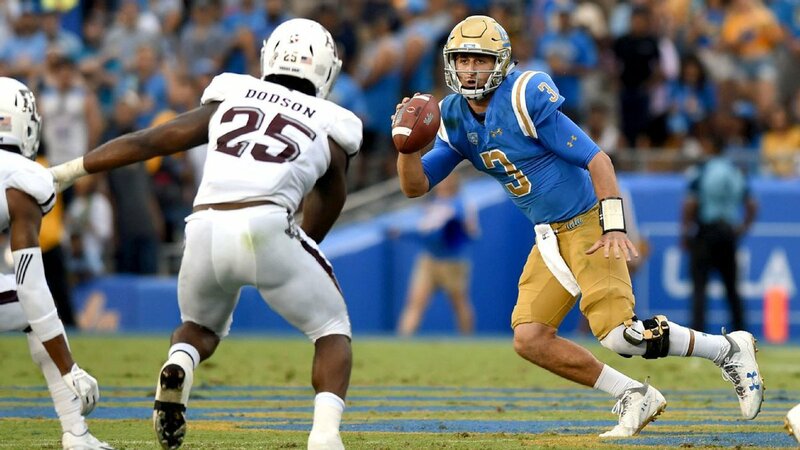 So, in a strange way, maybe Texas A&M’s epic meltdown in the second half against UCLA combined with a Herculean effort by UCLA quarterback Josh Rosen will end up being a good thing. Yes, losing a 34-point lead in a little over one quarter of play can be a good thing. For the last three seasons, the Aggies have started the season like they could do no wrong. But come the midway point, when the competition gets tough, they fall apart. Somehow, they never seem to totally figure out what the problem is by the time the season ends. So, maybe—just maybe –this time, since they fell apart at the start of the season they can get it figured out before the schedule gets tough. After the way things fell apart in the second half, they have plenty to figure out. It all started off so well. The offense moved the ball with ease and the defense made Josh Rosen look like a backup scout team quarterback. After one-half of play they Aggies built a 38-10 lead. However, while everything looked great, the Aggies had one glaring problem. They couldn’t pass the ball if their lives depended on it. It looked like UCLA expected to see Texas A&M pass more than they did and defended accordingly. As a result, the running game often saw only five guys in the box making it easy for the run game to work. In the second, UCLA began to stack the box more making it harder to run. After rushing for 286 yards in the first half, Texas A&M ended the game with 382 total rushing yards. So maybe the idea to pass more was so the UCLA defense would loosen up some. But the passing game struggled. It would have made sense to return to the run game–but they didn’t. With four minutes left in the third and ahead by 34-points, Texas A&M should have been thinking run on every play. Maybe if they did run the ball and kept the clock running, Rosen wouldn’t have had enough time for his epic comeback. Rather than try to slow things down when UCLA began scoring at will, A&M offensive coordinator Noel Mazzone stuck with the pass. They only ran the ball seven more times the rest of the game (and just three in the fourth quarter). Since they had to pass why in the world did they not give senior Jake Hubenak a shot? He’s not going to throw as well as Josh Rosen, but he could have certainly thrown better than Mond. To be fair, while A&M’s miscues and questionable coaching decisions certainly hurt, Josh Rosen played a masterful second half. After looking rather pedestrian in the first half, he finished the game 35-59 for 491 yards and four touchdowns. He was 19-26 for 296 yards (and all four touchdown passes) in the fourth quarter alone. “My career at UCLA, we’ve had a lot of times where the chips didn’t fall in our favor, and I think it’s time that finally it did,” Rosen said. Texas A&M shouldn’t have too much trouble next week no matter who plays quarterback when they play their home opener against Nicholls (7 PM ET). UCLA shouldn’t have any trouble when Hawai’i comes to town next week (kickoff at 5 PM ET).